EL PASO, Texas, April 8, 2019 /PRNewswire/ — On-demand virtual pediatric doctor visits are now available to students in eleven El Paso ISD schools starting April 8th. Virtual Care for Kids, the first service of its kind in Texas made possible by Urgent Care for Kids, was selected as the first districtwide telemedicine partner for EPISD. This service provides student-patients through licensed nursing staff the ability to connect via video chat with a Texas-based pediatrician in minutes. This virtual care pilot program is designed to meet the needs of all students enrolled, including those with Medicaid and Tricare plans, at little to no cost. Following the initial pilot program, Virtual Care for Kids will be made available starting the fall semester giving medical care access to approximately 70,000 students across 82 El Paso ISD schools. Virtual Care for Kids gives patients the same high-quality pediatric care all through a ‘facetime’ conversation minimizing the typical in-clinic wait times and eliminating the drive time altogether. Patients are immediately ushered into a virtual visit room where the pediatric provider within a local Urgent Care for Kids clinic will connect with them via live video from the comfort of their own home. Urgent Care for Kids is one of the largest pediatric urgent care chains in Texas providing after hours urgent care services for children ages 0 to 21. 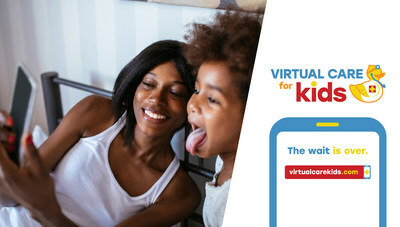 Virtual Care for Kids® is the on-demand telemedicine and pediatric video consultation service of Urgent Care for Kids. Urgent Care for Kids operates 10 locations across the Dallas-Fort Worth, Austin and Houston markets providing services for pediatric patients including x-rays, minor laceration repair, and sick visits. To learn more, visit www.VirtualCareKids.com.